The scourge of the Hollywood Walk of Fame, the whitehead on America’s nose, the nation’s petri dish for bro brawls, will reportedly be restored after it was again pulverized with a pickax this week by a public servant or vandal, depending on your worldview. 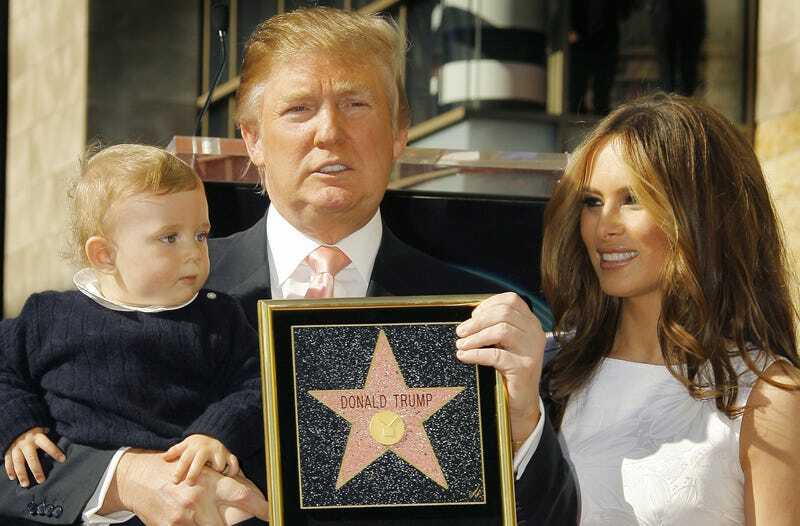 (If you’re still wondering how this exists, Trump reportedly got his Hollywood Star in 2007 for producing Miss Universe pageants). According to TMZ, the LAPD and Hollywood Chamber of Commerce have decided to keep replacing the damn thing even though it’s now been repeatedly smashed and defaced, so as not to set a bad precedent by allowing vandalism. 24-year-old Austin Clay, who confessed and turned himself into the police on Wednesday, was reportedly bailed out on Thursday by James Otis, the guy who previously destroyed the star with a pickax and sledgehammer. Otis was charged with felony vandalism, which could have carried a three-year prison sentence, but ended up with a $4,400 fine and 20 hours of community service. Clay’s next court appearance is set for August 15th. Here is the footage, just in case you might be interested in re-watching it several times for no particular reason.